Kittery Youth Lacrosse will hold an Information Night on Monday, February 11 at the Kittery Community Center. Those eligible for 1-4th grade boys and girls lacrosse will meet from 5:30-6pm, and 5-8th grade boys and girls will meet from 6:15-6:45pm. 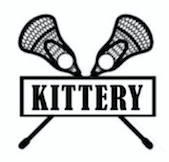 Registration is now open at www.kitteryyouthlacrosse.org. See attachment below for more information.